Elle Decoration is always fuelling our design addition, and this months issue is full of the latest bedroom trends. So we have to ask, how do we make our bedrooms look truly fabulous this year? Here is the full list of ‘to die for’ bedroom trends you need to be following in 2017. We have taken the Elle Decoration head captions and put our own spin on how to create the perfect, most fashionable bedroom. Our take on the perfect cosy corner consists of a small bedroom chair that you can tuck your feet up on, grab a blanket and get reading that book you promised yourself you would finish last year. Bedroom chairs come in all shapes and sizes and so you will be sure to find one to fit your space. If a chair is a little too large for a corner of your room, why not try a tiny stool? Upholster in velvet for the right amount of lux glam, or find a wooden number to complete your Scandi style. Play around with sizes of the lights you use in your bedroom. By adding in big lamps to a small room you can actually create the feeling or grandeur and more space. Weird hey? But it works! They will also make the room feel much lighter and airier. If you aren’t too convinced then use your ceiling height, and add in pendants on either side of the bed. Not only will they declutter your side tables, but they will also appear to make your room look taller. 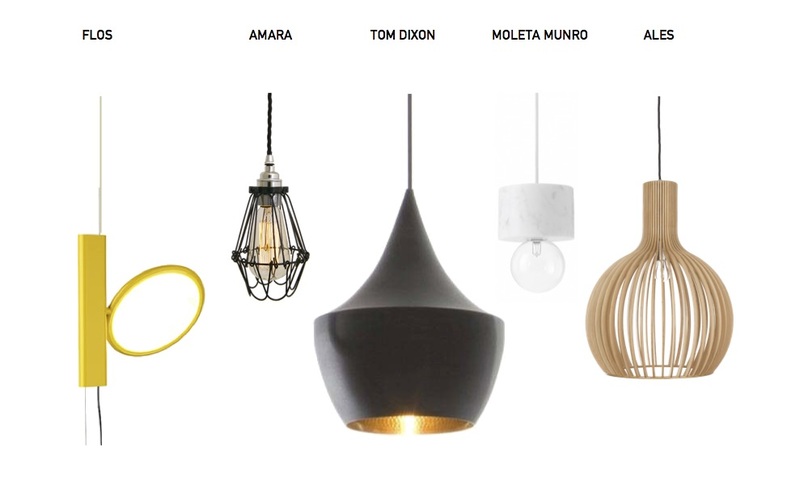 These Pendants from Flos are practical as well as stylish and we have one to see at our London Showroom. Now Elle Decoration suggests to divide your room up into sections using the hot bedroom trends of this year – panelling. We can not top their suggestion to divide up your room and instead are just going to suggest a cheaper way of panelling if you can’t fork out for the real thing. Papering your wall is of course the easiest way of adding the panelling effect to your bedroom. This one from Cole and Son is so realistic, your guests would never notice. Simply Stylish bedrooms are the most glamorous types of bedrooms. We think that your bedding also plays a huge part in keeping your bedroom looking top notch. No one wants to walk into a bedroom to messy looking bedding and in turn a rather kiddish looking bed. Why not treat yourself to a set of white sheets. Then pick your favourite colour and splash out on a throw and two complimenting cushions. It is important that this is your favourite colour and not the ‘trending colour’ of the season. After all, your bedroom design will only look on trend and lovely if you love it yourself. We very recently wrote a blog post on bedroom colour schemes including different colour palettes that might work for your room. Now despite this post being written in 2016, each and every rule still applies to this years trending rules. Keep the larger objects in more neutral shades and add in your pops of colour using the smaller, more easily changeable accessories. 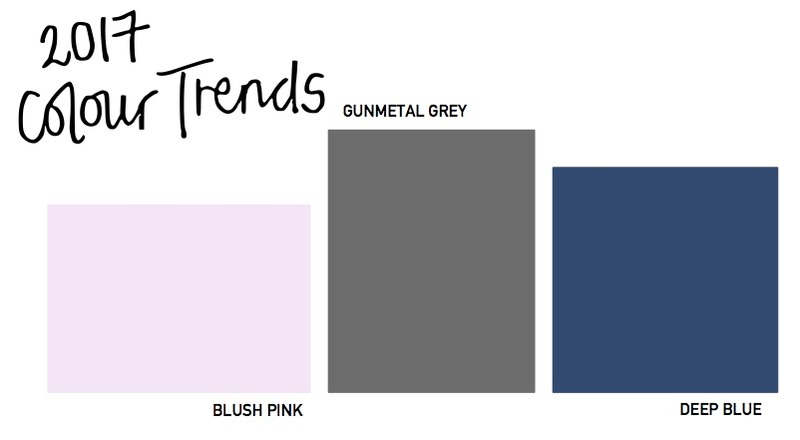 Blush pink, Deep blue and gunmetal grey are all colours trending this year. A bedroom deserves a little bit of pattern, but don’t go overboard. This is your calming space that you can relax in and drift off into the land of nod. Bright, bold patterns will certainly help you in the morning but won’t do anything in helping you getting to sleep in the first place. Rugs, rugs and more rugs are the thing for this year, so perhaps add in your pattern in your rug. This way, it is not in your line of sight when sleeping, but when you first wake up in the morning and step out of bed, the pattern can brighten your day. Geometrics are on trend this year, and here are just a few favourites to choose from. Furniture that looks like it was just made to fit really steps your bedroom apart from the rest. There is nothing worse than ill-fitting furniture, it makes your room look cramped and ugly. Not all fitted furniture needs to break the bank, but do listen to that saying – you get what you pay for. Perhaps this year is the year to invest in that forever bedroom furniture. Furl’s bedroom furniture is all made by Furl in their Nottingham Workshops. So if you have a tricky space and need a custom size bed or bedside table, get in touch and we can try and work around your measurements. Well headboards – perhaps the biggest of the bedroom trends. 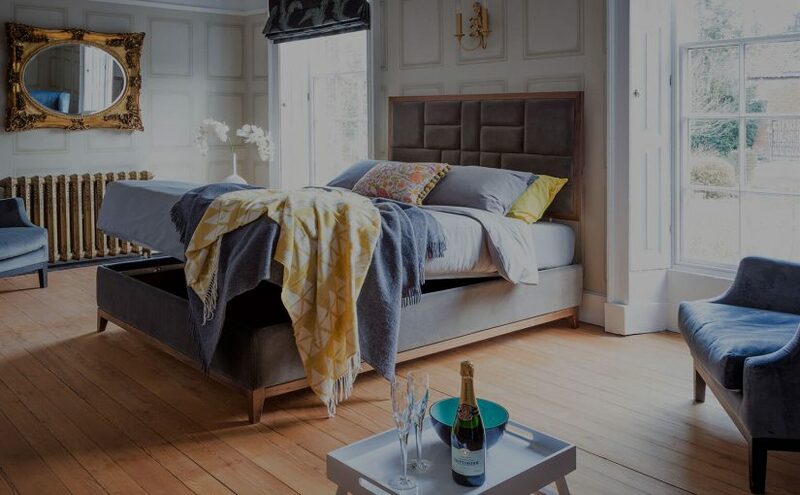 Now you are in the right place for an absolutely fabulous headboard as we are the master of headboards (the recent Virgin media advert came to mind when we wrote that sentence!!). But on a serious note, we actually are masters in headboards. The oversized headboard is now all the rage. So we say, buy a Super King Sized headboard for your Kingsized bed to add a little bit of fun into your room. 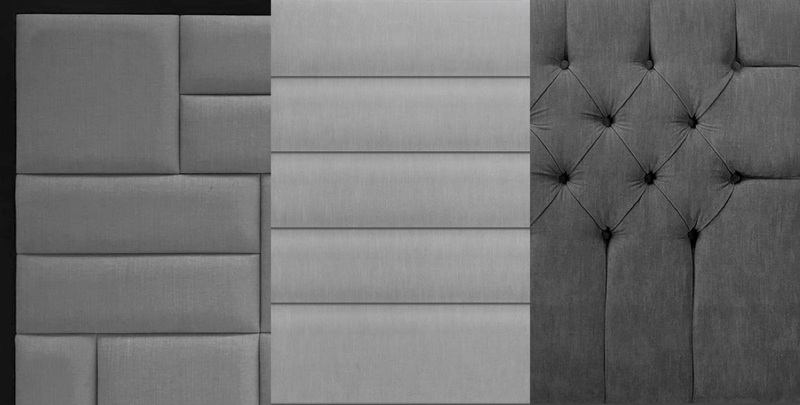 Have a cheeky look at our headboard selection. Add in a few home comforts to your bedroom design. The most personal bedroom trends of all time is to scatter photographs of family and friends around your room. Mount your photos in all shapes and sizes. The best place to put them is that forgotten piece of wall, so that every part of your room is brought back to life. Try creating a few different levels in your room for intrigue and to be one better than the rest. Are you completely redoing your bedroom? If so, why not create a little two stepped up platform in the middle of room and sit your bed within it. Not many people could say that their bed is the focal point in the middle of the room. This is the part of the bedroom that you use the most and so celebrate it. Put your bed on a pedestal and be proud. There is nothing more romantic than sleeping beneath the stars, particularly on Valentines Day! Elle Decoration suggests actual windows, however for those who cannot sleep with just a slither of light present, you could really push the boundaries. Optical Fibre LED ceiling lighting is becoming increasing more popular and increasingly more wow. Perfect for a kids bedroom, sleeping beneath the stars until you drop off can really become a reality. So how are you going to follow this mammouth list of bedroom trends? Start by selecting just one, and then add in a couple more throughout the year. No one said you had to do everything all at once! Previous Previous post: Furl @ Grand Designs Live 2016 – Book your tickets here! Next Next post: Storage Bed Experts are here to help you!